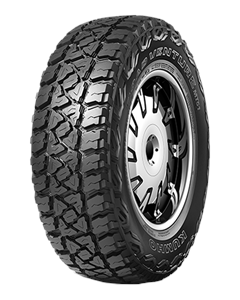 The MT51 is an off-road 4WD tyre capable of handling the harshest conditions while being just as comfortable on the road as off. So whether it's off-roading, camping, mining, farming, or even the school run, this great all-around tyre will exceed expectations. Sorry, we currently do not have any tyres with the Road Venture MT51 pattern in stock.